Prime yourself for fall with a clutch that exhibits colour blocking at its best. Featuring the perfect variety of colours to transition you from summer to fall, it's stylish yet roomy enough to hold all your daily essentials. 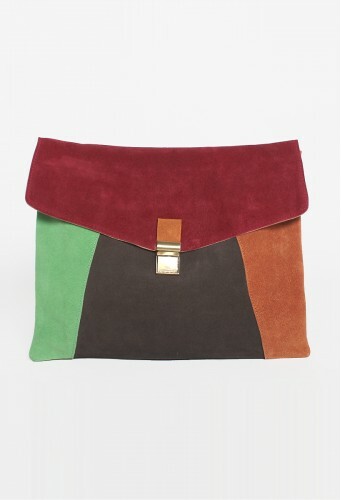 You can count on the Moda Suede Block Clutch to be the finishing touch to a variety of looks. Made of genuine suede, lined with linen. Fastened with a vintage bronze clasp and comes with a single zipped inner compartment. Fits A4.